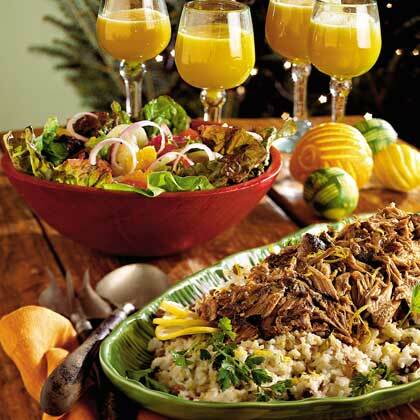 This recipe goes with Sautéed Chicken Breasts with Pico de Gallo. 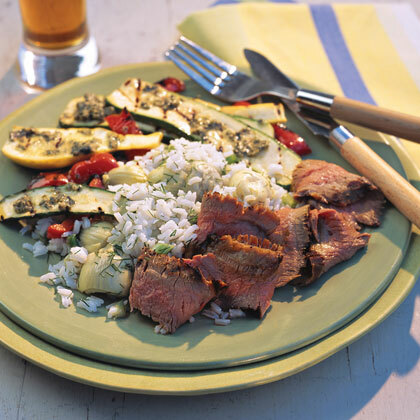 Brown rice or orzo are good substitutions for the long-grain rice. 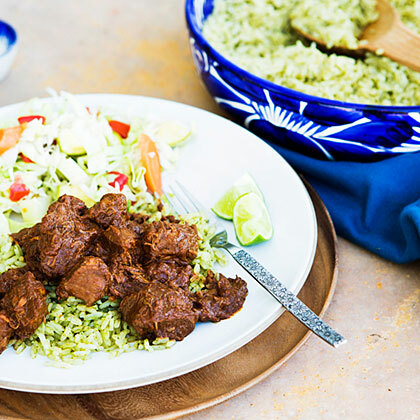 Fresh and green from the cilantro, this makes a nice change from the more typical red Mexican rice. 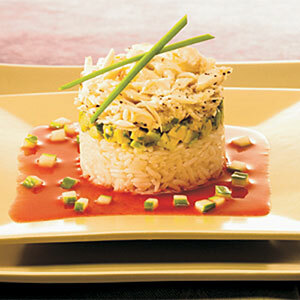 Discover a hint of sweetness with each bite of Coconut Rice. 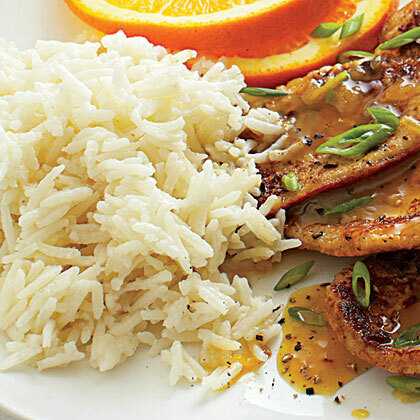 We serve Coconut Rice with Orange-Ginger Turkey Cutlets. Arborio rice, the traditional rice for risotto, releases starch as it cooks, yielding a creamy, orange-scented rice pudding. Serve warm or chilled. If you don't have Grand Marnier, substitute Cointreau. Leftover cold rice works best in fried rice dishes. 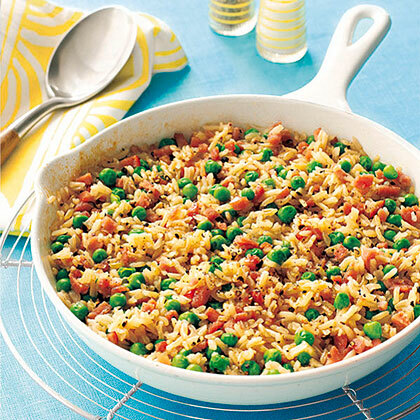 This tangy Caribbean Rice and Peas recipe is a flavorful change from the typical rice and peas. Today's supermarkets carry a variety of wild rice blends. 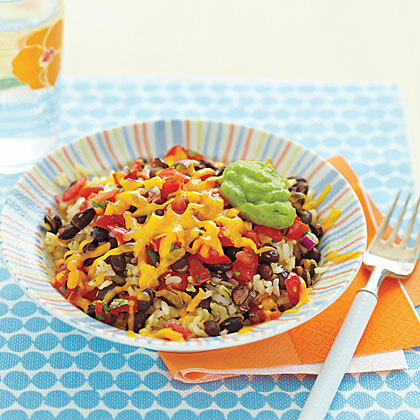 Pick one for a 5- to 15- minute substitute for company rice. 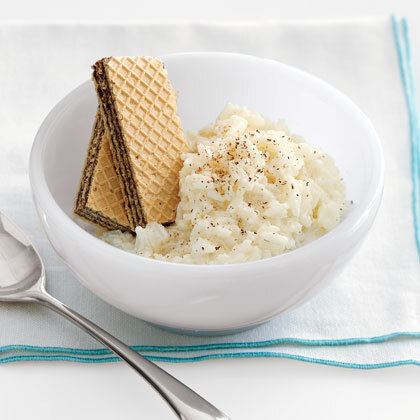 Indulge in rice pudding, a comforting childhood favorite, by cooking instant rice, then adding ice cream and topping with ground cinnamon before serving. 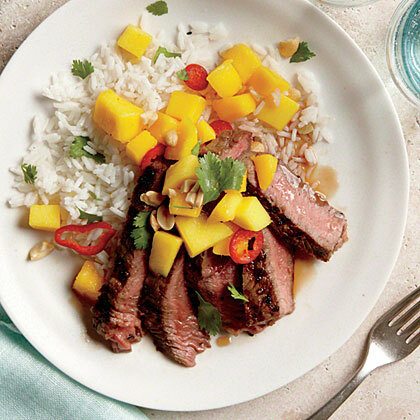 Don't settle for plain white rice when you can serve Coconut-Ginger Rice. This side dish is full of flavor thanks to fragrant jasmine rice, fresh ginger, coconut milk, and cilantro. Jasmine rice, which is often served with Thai dishes, is a long-grain rice that is slightly sticky when cooked. 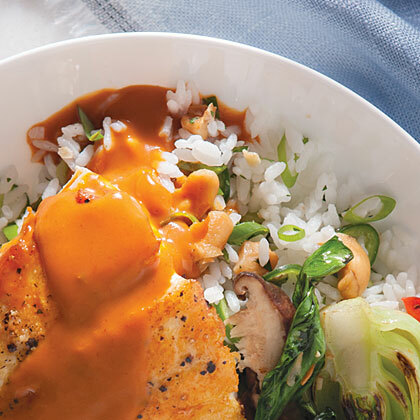 The seasonings in this rice will complement any Asian entrée.